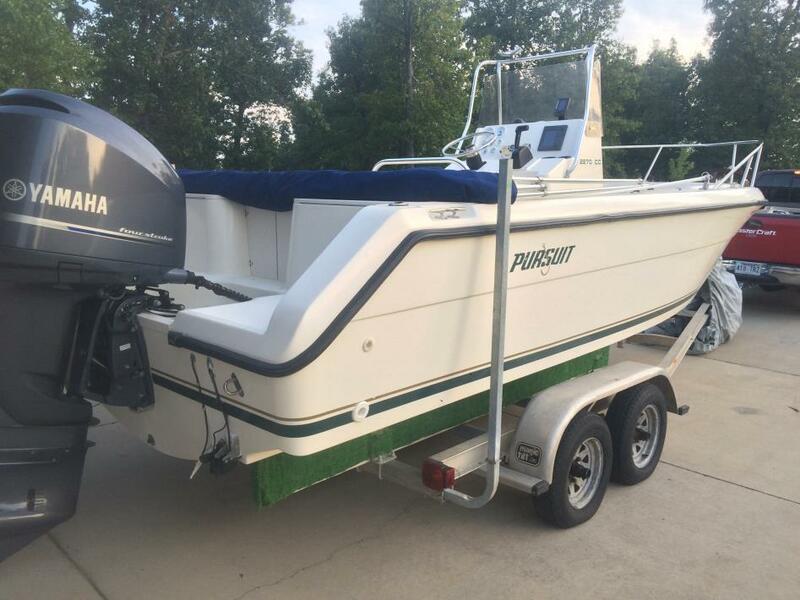 1998 Pursuit 2270 Center Console PURSUIT 2270 Center Console. Excellent condition on this little used 98 w/low mileage 2013 4 stroke Yamaha (on warranty) w/Masterloader trailer. Circulating Live Well, 2 lg insulated fishstorage boxes, Auto Bilge Pump, Duel Batteries, GPS/Fish Finder. Boat has been on a lift in summer and garaged in the winter. CLEAN-CLEAN-CLEAN! Delta Dive Boat; Excellent Condition, Perfect for 6 packs: Ready to dive! DELTA DIVE BOAT : EXCELLENT CONDITION REBUILT IN 2007 / OPEN TOP CONVERTIBLE CUSTOM DIVE BOAT 1988 28FOOT WITH CUSTOM 36 FOOT TRAILER RUNNING PERFECTLY: USED REGULARLY IN SEASON EQUIPPED WITH A CRUSADER INTERNATIONAL DIESEL ENGINE, FRESH WATER TANK, HEAD WITH MASERATOR AND SHOWER , KITCHEN AREA, ELECTRIC TRIM, CUSTOM MADE DIVE PLATFORM, TWIN LARGE CAPACITY FUEL TANKS, 2 CAPTAIN SEATS, BENCH SEATS WITH STORAGE AND TANK HOLDERS PERFECT FOR 6 PACK CHARTERS BEEN USED IN FRESH WATER LAKE SINCE REBUILT IN 2007 $32,000 OR BEST OFFER WILL DELIVER FOR THAT PRICE TO THE PANHANDLE AREA OF FLORIDA, OR COASTAL AREA OF ALABAMA , MISSISSIPPI OR TEXAS.